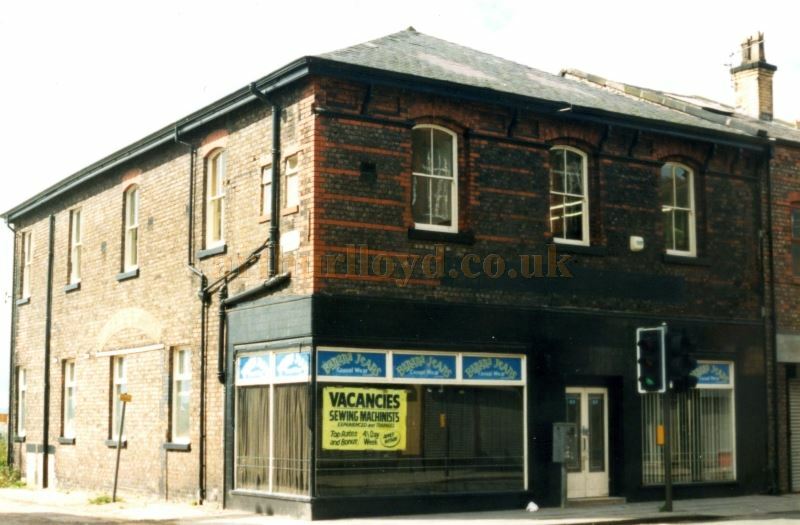 Above - The former Warehouse which was converted into the Palace of Varieties and then the Theatre Royal, Garston, in a photograph from 1988. 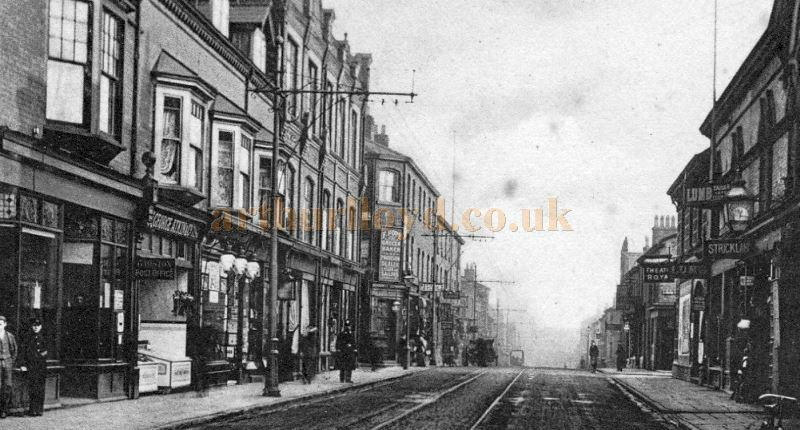 The building was demolished in 2007 - Courtesy The Garston and District Historical Society. 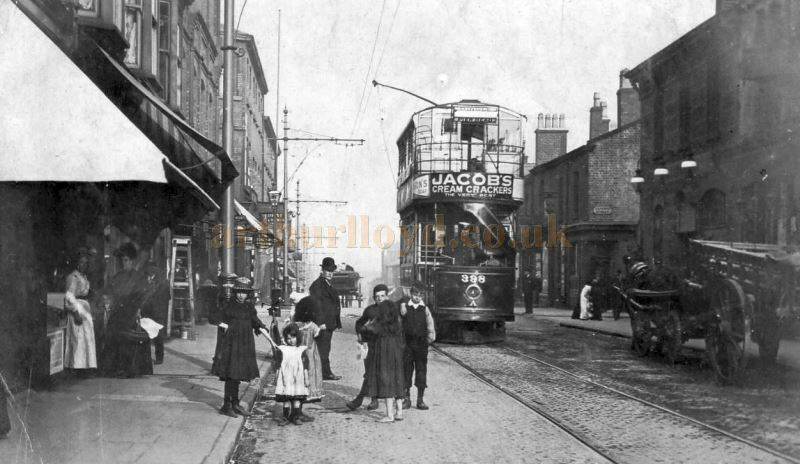 Above - St. Mary's Road, Garston, showing the Theatre Royal to the right of the picture - Courtesy The Garston and District Historical Society. In the book 'The Annals of the Liverpool Stage' by R. J. Broadbent, published in 1908, a small section on Garston also mentions the Royal Palace of Varieties, later the Theatre Royal, saying:- 'Less than a couple of decades ago the Garstonians were unable to boast of a permanent theatre, and had to be content with such dramatic fare as itinerant showmen occasionally brought. In 1891 there was the Britannia Theatre, under the proprietorship of Mr. J. W. Snape, who is, I believe, still touring. The Britannia was not a permanent structure, but it was Mr. Snape's intention at that time to build a regular theatre. But this he never carried out. 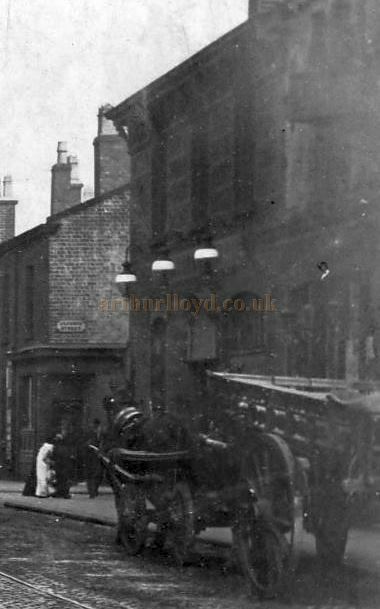 Right - An enlarged copy of part of the photo shown above, showing the Theatre Royal, Garston - Courtesy The Garston and District Historical Society. The Royal Palace of Varieties was afterwards erected in St. Mary's Road, and the opening took place in 1892. Mr. John Hargreaves was the manager. After being run as a variety theatre it was converted into a playhouse. Closed since February, 1895, the theatre was re-opened on August 3, 1896, by Mr. David Barnard with Parson Thorn as the attraction. Mr. Barnard brought good companies, and successfully directed the theatre for a number of years. After he left the Royal it was converted into a billiard hall. The above text in quotes was first published in 'The Annals of the Liverpool Stage' by R. J. Broadbent, 1908. 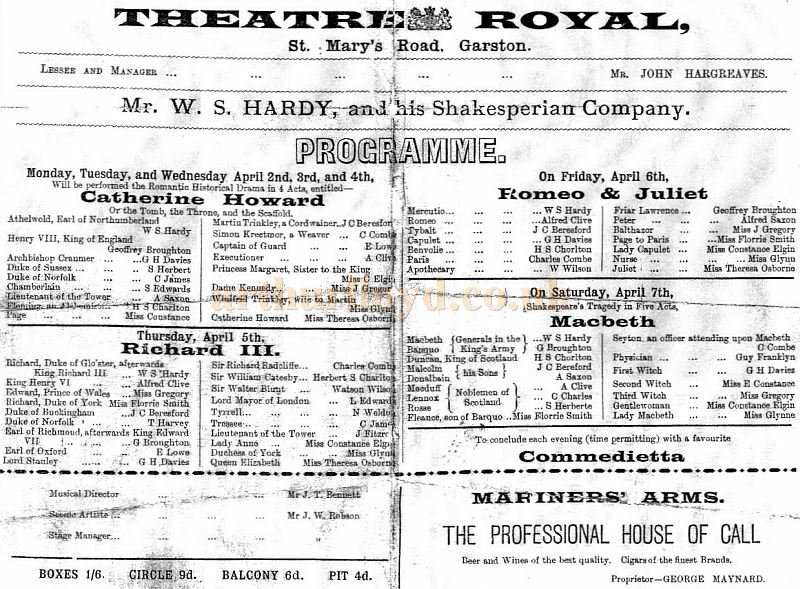 Above - A Contemporary Newspaper Advertisement for Mr. W. S. Hardy and his Shakesperian Company's productions at the Theatre Royal, Garston whilst under the management of John Hargreaves in the 1890s - Courtesy The Garston and District Historical Society. Barnard successfully managed the Theatre for many years, producing Twice Nightly plays, but when he retired from the Theatre in 1903 the Theatre was closed and the building was converted into a Billiard Hall, which opened in 1905, and was run by the Lancashire & Cheshire Billiard Halls Ltd.
Later still the building was in use by the Garston & District Co-operative Society's Furnishing Department, and it was only finally demolished in 2007.